A divorce can be stressful, tedious, and exhausting. A trial can make it worse. 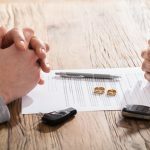 If you are divorcing, considering divorce, or anticipating divorce in southern California, your first move should be to discuss your options and rights with an experienced Cerritos divorce attorney. Family law and the laws governing divorce started slowly changing in the 19th century, but the biggest changes have happened since the 1960s. Spouses no longer need “grounds” for divorce, for example. No-fault divorce is the law now in all fifty states. WHAT ARE THE ALTERNATIVES TO A COURTROOM DIVORCE TRIAL? Even the way that people get divorced has changed. Here in California, for instance, it is no longer necessary to have a courtroom divorce trial. Divorcing couples can avoid going to court – and can save time and money – by turning to arbitration, mediation, or “collaborative” divorce. Especially if you are considering or anticipating a divorce in California, keep reading. This is a brief discussion of mediation, arbitration, and collaborative divorce – the alternative dispute resolution (ADR) options available to those who are divorcing in this state. Divorce trials are on the public record. In a divorce trial, personal details about your finances and your children are made available to anyone who accesses public records. However, alternatives like mediation, arbitration, and collaborative divorce can keep your family’s details private. In recent decades, divorcing spouses in California have turned increasingly to divorce mediation. In a mediated divorce, an impartial third-party mediator guides the divorcing partners toward agreements on custody and support, but the mediator has no authority to impose an agreement. The divorce mediator may be a mental health professional or an attorney. Mediation is usually conducted in a number of meetings over a period of several weeks or months. If the spouses have attorneys, they may advise the spouses and draft or review any agreements that are reached. If a California divorce involves a dispute over child custody, California’s family courts will order the spouses to try mediation before they take the dispute into a courtroom hearing. Mediators encourage parents to cooperate on parenting issues in the best interests of the children. Divorcing spouses in southern California – whether or not they are parents – can learn more about the mediation option by speaking to a skilled divorce lawyer. Divorcing partners in California may instead choose the arbitration process. An arbitrator can often resolve divorce-related issues quickly. If the partners agree ahead of time to accept the arbitrator’s decisions, those decisions are final. The arbitration process is comparable to a trial but less formal. Arguments are presented by the attorneys, evidence is offered, and witnesses may be examined and cross-examined. Arbitrators decide the final conditions and terms of a divorce based on the testimony and the evidence. Arbitration gives divorcing partners these three advantages over a courtroom divorce trial: control, speed, and privacy. Spouses are given all of the time they need to present all of their evidence. Still, arbitration can often resolve a divorce in weeks rather than months. Most divorce arbitrators in California are retired family law judges or practicing family law attorneys, so they know the law. If arbitration is your choice for divorce, choosing a good arbitrator is imperative. HOW ARE MEDIATION AND ARBITRATION DISTINCT? Mediation and arbitration are often misunderstood and confused. Arbitrators hear both sides of a divorce case and make a binding decision. Mediation is different; it’s basically managed by the divorcing partners themselves. Mediators have no power to enforce any rulings or decisions. Nevertheless, a skilled divorce mediator or a talented divorce arbitrator can be central to a smooth, quick divorce. The primary goal of divorce arbitration and divorce mediation is the resolution of divorce-related disputes without the need for a trial. Both mediation and arbitration are cost-effective alternatives that provide a fair opportunity for parting spouses to resolve the disputed issues in their divorce. Like mediation and arbitration, the collaborative divorce alternative encourages cooperation and requires mutual respect between the divorcing spouses. Also like mediation and arbitration, a collaborative divorce procedure can keep a couple out of the courtroom while allowing the pair to benefit from sound legal advice and experienced legal representation throughout the process. If children are involved, another “coach” may be brought in to represent their needs and concerns. An impartial financial “coach” may be asked to help resolve financial disputes. HOW ARE DISPUTES RESOLVED IN A COLLABORATIVE DIVORCE? Collaborative divorce helps divorcing spouses and their children move forward in constructive and positive ways without contention, acrimony, or recrimination. The spouses are involved at every stage of a collaborative divorce procedure. 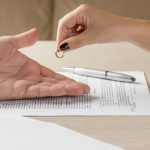 Instead of letting a judge or an arbitrator impose a resolution, the spouses collaboratively decide – with the help of their “coaches” – on the terms and conditions of the divorce. Both partners must agree in advance to approach the collaborative divorce process in good faith. To guarantee the integrity of collaborative divorce, partners must agree that they won’t take the case to trial and that they will settle their disputes during the collaborative divorce process. If the collaborative divorce process fails, which is rare, the same lawyers can’t be involved later if the divorce becomes a courtroom trial. HOW WILL A GOOD DIVORCE LAW FIRM HELP YOU? Some divorce lawyers still rely primarily on litigation, but the general trend in family law today is to protect a client’s interests while reducing any potential for conflict. Alternative dispute resolution methods also allow California’s family courts to concentrate on the cases where partners cannot resolve their differences except by going to trial. When you and your partner divorce in California, whether you choose arbitration, mediation, collaborative divorce, or a conventional courtroom trial, you will need a divorce lawyer who is sensitive to your concerns – a lawyer who routinely handles divorces for a variety of clients. In southern California, if you are divorcing, or if you are merely seeking advice about divorce, get the reliable advice and aggressive representation that you’ll need by speaking promptly with a reliable Cerritos divorce attorney. A good attorney’s help is your legal right.